www.searchingforreason.net : WORTHWHILE OR WORTHLESS- A CONSUMER GUIDE TO AVOIDING SCAMS AND SCOUNDRELS. HOMEOPATHY- MEDICAL ADVICE FROM THE IRRATIONAL. PT 3. WORTHWHILE OR WORTHLESS- A CONSUMER GUIDE TO AVOIDING SCAMS AND SCOUNDRELS. HOMEOPATHY- MEDICAL ADVICE FROM THE IRRATIONAL. PT 3. One of the most enduring and improbable "Truths" that are part of Homeopathy, is the "Law of Infinitesimals". This basically claims that the greater the dilution, the more likely a cure for the given illness or disease. Chemically, any substance diluted to a certain extent will become unidentifiable in Lab tests. 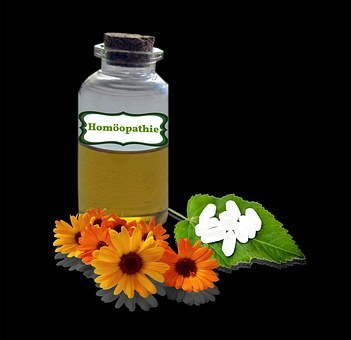 This can be found on Homeopathic Products that list dilutions greater then 24X. Even if we were to accept that certain prepared concoctions containing measurable amounts of the curative substance could be of some benefit, how could the lack of any identifiable molecular presence within the remedy possibly help anyone? Well, Homeopathy has the answer, and it is ludicrous. By properly agitating, mixing or stirring each stage of dilution, the original substance contained in the initial solution will imprint an "essence" of its' original chemical identity upon each new "Cure." This means that each subsequent remedy has a "Memory" of a substance that cannot be measured or identified. Further, that each time this is done, a positive outcome becomes even more inevitable. In other words,these Homeopathic products are "POSSESSED" by the spirit of the original substance meant to treat a particular Disease or Sickness. I am not making this up. I could go on, but explaining every irrational idea put forth by Homeopathy is beyond the scope of this article. For a much more in depth explanation of Homeopathy and its history I recommend the Internet site- Quackwatch- Stephen Barrett, M.D. Article- Homeopathy: The Ultimate Fake.